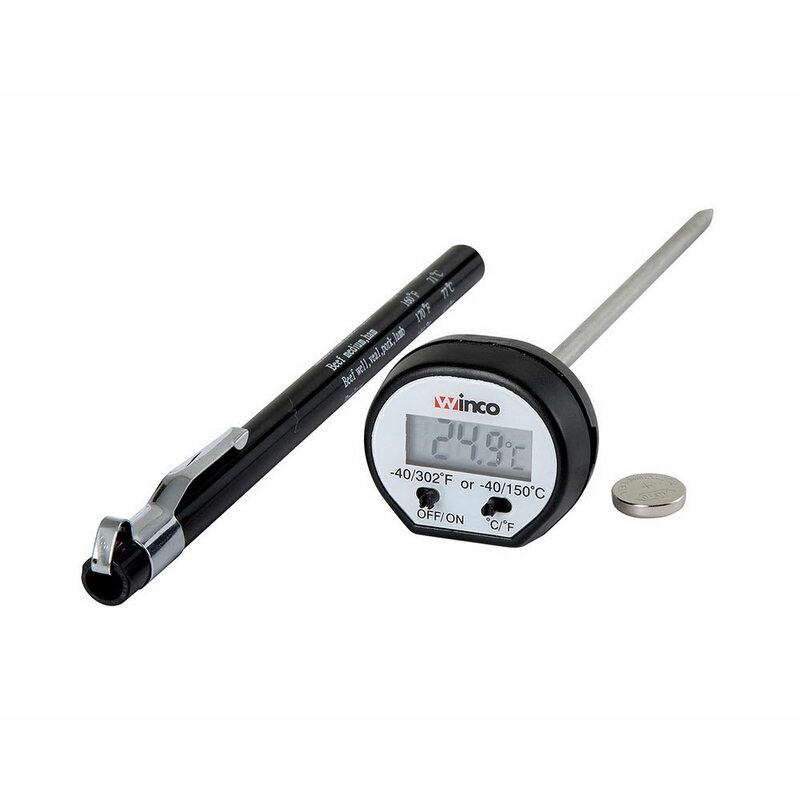 The Winco TMT-DG1 pocket thermometer is easily operated with an On/Off switch. It comes with a clip to ensure it can be easily transported in your pocket with becoming lost or falling out. This digital thermometer can measure temperatures ranging from -40 to 302 degrees Fahrenheit, but can also display the temperature in degrees Celsius. This Winco thermometer is equipped with a probe measuring 43⁄4 inches long and a protective sheath to help maintain sanitation when it is not in use. Probe length measures 43⁄4 in.